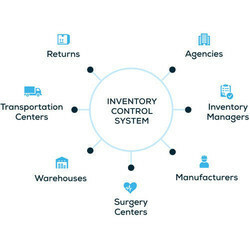 We offer Inventory Management Software. Acknowledged amid one of the credible market names, we are rendering to our customers highly effective and treasured Inventory Software. In order to maintain effectiveness of these services, these are provided by some of the trained and highly competence executives of our crew. These services are offered at market leading rates. - Cost efficient & user friendly. - All bills available in printable forms. - Item wise records of purchase, sale, stock. We, Nelsoft Technologies, are considered to be one of prominent manufacturers and suppliers of Magnetic Stripe, ID & Access Control Cards. Our Product range widely consists of different styles of Inventory Control Systems. Inventory is the materials, work-in-progress goods and final prodct that businesses sell in order to generate revenue. Without inventory going out, there is no money coming in.